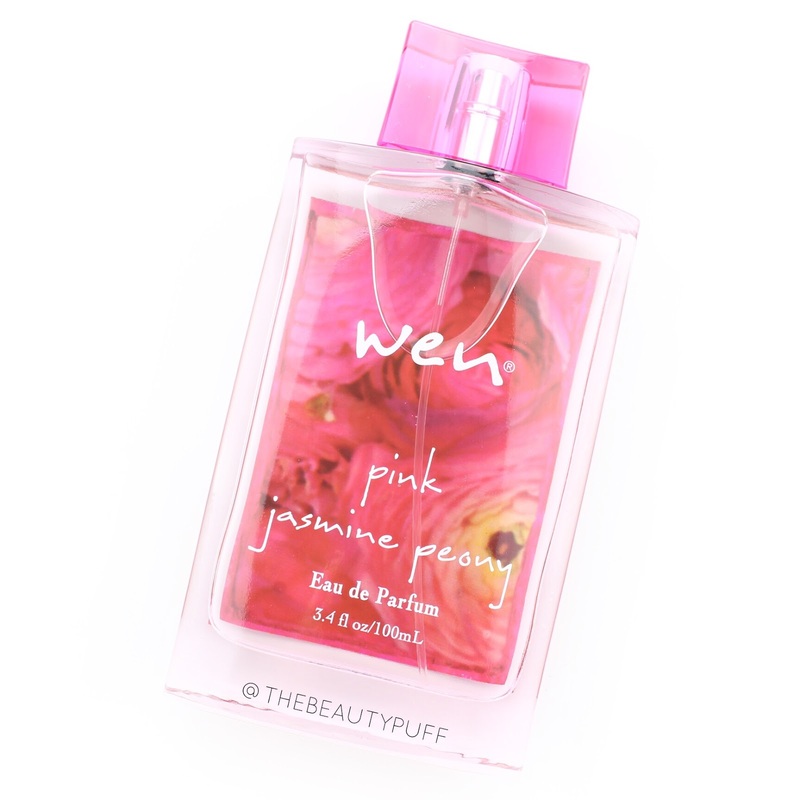 I love spring-inspired scents, especially those by Wen. Whether it's their haircare, skincare or perfumes, the combinations are always so refreshing and enticing, I can never pick a favorite. This spring, one of the new scents is Pink Jasmine Peony. I love that within Wen's line, you can enjoy the scents in multiple products. The perfume in particular caught my eye, isn't it gorgeous? As with Wen's other perfumes, this one definitely doesn't disappoint. If you've never tried Wen's perfumes, you really need to check them out. The packaging itself is so luxurious and looks gorgeous out on display. I love taking out different scents as the seasons change. Whether they're out on your vanity, in a bathroom, or on a dresser, they'll look like little pieces of art. Each has its own seasonally inspired color scheme on a sleek, glass bottle. They also make gorgeous gifts for birthdays or Mother's Day! If you love florals, you'll love the Pink Jasmine Peony fragrance. It's mainly floral with a hint of fresh and sweet. I love the smell of jasmine. It's a scent that's really grown on me over the last few years. It's a more sophisticated floral scent that's balanced out by the other notes in this perfume. The cucumber adds freshness while the vanilla adds a subtle sweetness, making this the perfect spring scent. I can't stop wearing it. Even before the weather turned spring-like, I wore this perfume to remind me of the warm sunshine that was just around the corner. I'll love this through spring and summer for sure! Looking for more spring scents to add to your fragrance collection? The Pink Jasmine Peony scent comes in a perfume, Ultra Nourishing Intensive Body Treatment, Cleansing Conditioner, and Replenishing Treatment Mist. You can find the Pink Jasmine Peony Eau De Parfum below!